Welcome, you are going to love it here! T L C Performing arts! 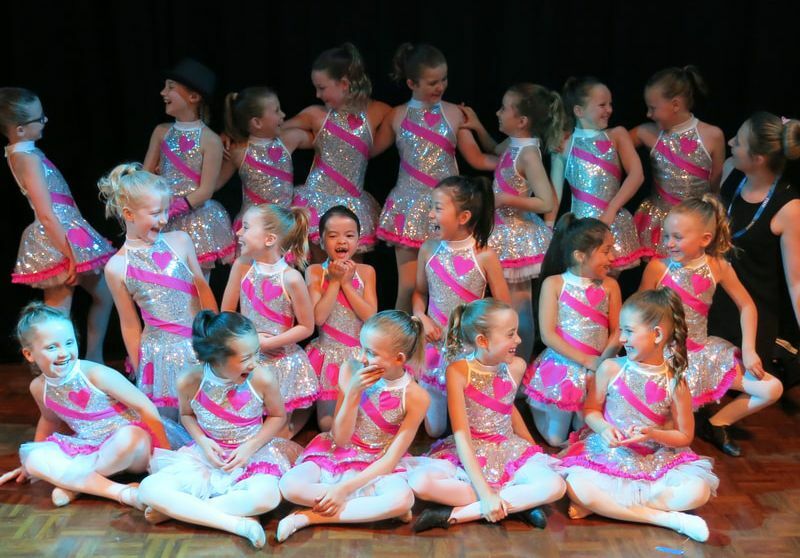 At TLC Performing Arts we aim to be your child’s favourite weekly activity. You can view detailed Timetable, 2019 Fee schedule and Term dates below... keep scrolling! We do not have a uniform. TLC students create their own dance style! ​Our timetable is designed so our students can experience a range of dance styles and a drama class. ​Students are welcome to attend one, two, three or all four of our classes. Dancers can start attending this class when they start Year One at Primary School. This class will enchant dancers who attend Year One and Year Two. Joy and confidence guaranteed. Dancers stay in this class until they start Year Three at primary school. This class will astound dancers who attend Year One and Year Two. Happiness, excitement and confidence guaranteed. This class will transport dancers into the joyous world of hip hop. This is an open age crew for students who attend Primary School Year One to Year Four. Hip Hop crew classes are 'open aged' just like all real hip hop crews. Guaranteed excite and challenge all dancers who join our Crew. Dancers can start attending this class when they start Kindergarten at Primary School. This class will enchant dancers who attend Kindergarten and Year One. Joy and confidence guaranteed. Dancers stay in this class until they start Year Two at primary school. This class will astound dancers who attend Kindergarten and Year One. Happiness, excitement and confidence guaranteed. This class will transport dancers into the joyous world of Drama. A rapid rise in confidence guaranteed. Dancers can start attending this class when they start primary school. This class will enchant dancers who attend Kindergarten to Year Three. Joy and confidence guaranteed. Dancers stay in this class until they start Year Four at primary school. This class will enchant dancers who attend Kindergarten, Year One and Year Two. This class will astound dancers who attend Kindergarten, Year One and Year Two. Happiness, excitement and confidence guaranteed. Just like real a real cast, this class caters for a wide age range, students who attend Year One to Year six at Primary School. Dancers can start attending this class when they start Year Three at primary school. This class will enchant dancers who attend Year Three to Year Five at Primary School. Dancers stay in this class until they start Year Six at primary school. They then progress to our Pre-Senior classes. This class will astound dancers who attend Kindergarten to Year Two. Happiness, excitement and confidence guaranteed. This class will enchant dancers who attend Kindergarten to Year Two. Joy and confidence guaranteed. This class will transport dancers aged 5-10 years old into the joyous world of hip hop. Boys Only Hip Hop crew classes are 'open aged' just like all real hip hop crews. Guaranteed excite and challenge all dancers aged 5- 11 years old. Dancers must attend Primary school to be eligible for this class. Dancers can start attending this class when they start Year Two at Primary School. This class will enchant dancers who attend Year Two and Year Three at Primary School. Dancers stay in this class until they start Year Four at primary school. They then progress to our Intermediate classes. This class will astound dancers who attend Year Two and Year Three at Primary School. Does your child attend Castle Cove Public School? There are no classes on the 10.06.19 due to the public holiday. When you enrol your child you will be securing their place to in your chosen classes for the full calendar year being terms 1, 2, 3 and 4. This way we can ensure we are providing the best possible experience for your child as they twirl their way through 2019. Fees are a term commitment and are due before your child's first class each term. A $35 enrolment fee is payable at the time of enrolment. This amount will be invoiced to you along with your confirmation email. The annual enrolment fee covers the cost of our merit system, public liability insurance, stickers, certificates, and other great stuff that makes TLC Performing Arts special! Class size is important to us. Once classes reach capacity we will no longer accept enrolments. Your child’s place is only guaranteed once we have received your completed Enrolment Form and the enrolment fee. Please kindly note our classes in 2018 reached capacity and we could no longer accept new enrolments. If your chosen class is full we will pop you on the waiting list and notify you if a place becomes available. ​We do offer obligation free trial classes at the cost of one weeks classes before committing to the term. Please contact info@ittybittydance.com to find out more information and to register for a trial class. Please note places in classes are not held for trial students.